HOBART, Ind. 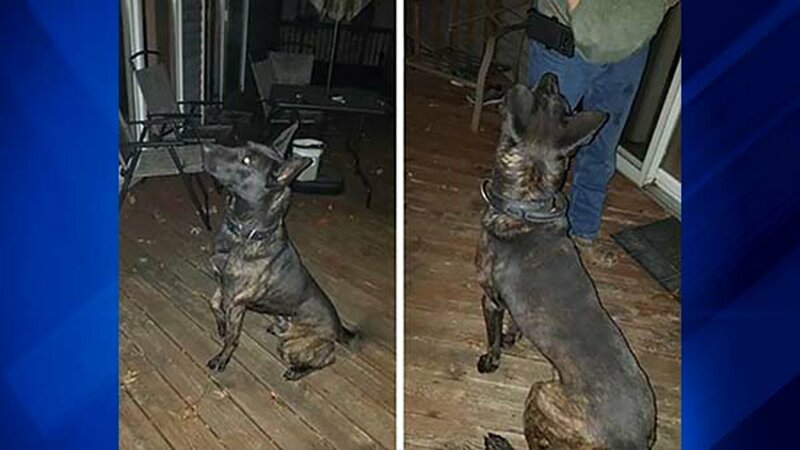 (WLS) -- A K9 officer named Si, who was reported missing from his handler's Hobart home has been found safe, according to the Portage Police Department. Si's handler, a Portage police officer, said he last saw his partner in his kennel around 6:30 p.m. Tuesday, police said. When the officer went out to his backyard in the 900-block of Lake George Street in Hobart to retrieve Si around 5:30 a.m. Wednesday, he found the kennel empty and the entry gate halfway open. A Hobart woman had let Si into her garage Wednesday morning and headed to work. She had planned to call animal control when she got home, but left work early when she learned that the dog was a missing police dog, according to Portage Police Chief Troy Williams. Si, a 4-year-old Dutch Shepherd with dark brownish/black fur, was wearing a collar with a top grip attached to it. A neighbor in the 1000-block of Lake George saw Si on their back porch early Wednesday morning, but did not have the means to keep him from running off, police said. It was immediately unclear how the K9 got out. Once the dog is found, police said an internal inquiry will take place.